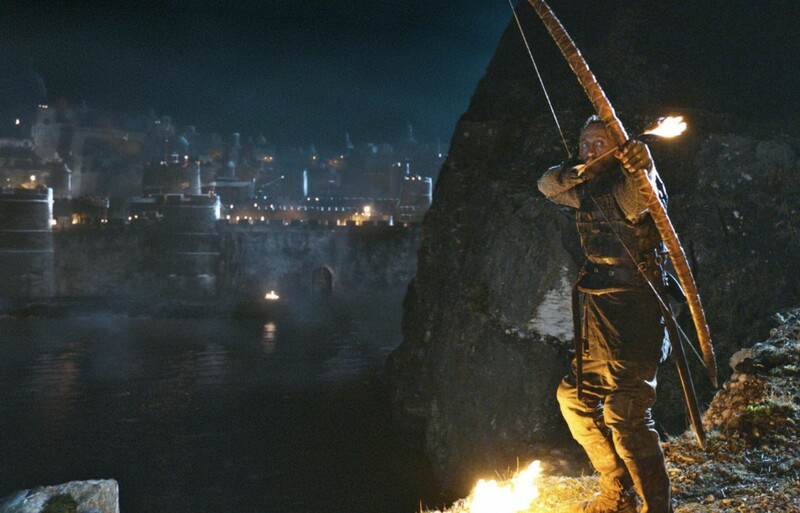 There are a lot of excellent archery scenes in Game of Thrones. I have picked 5 of my favourite scenes that best illustrate archery as a skill. "Relax your bow arm." - Robb Stark, instructing Bran Stark on how to shoot. This scene is actually quite good from an archery perspective. 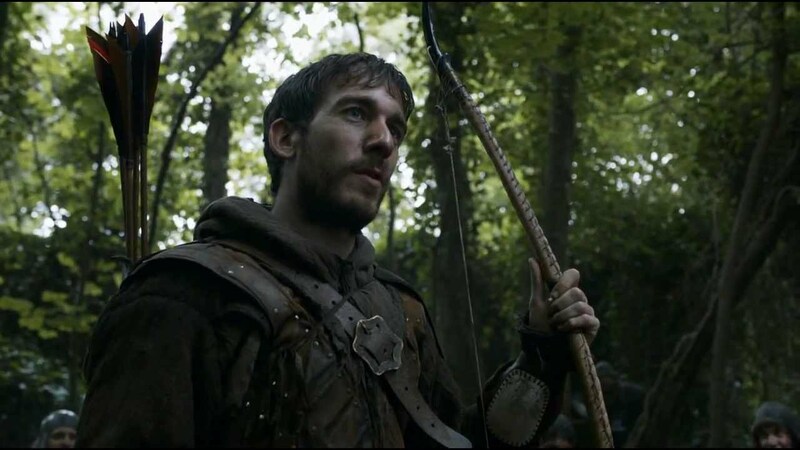 Bran makes several common archery mistakes, like plucking his release, and tensing up his bow arm / bow shoulder. The advice Robb gives Bran to "relax" his bow arm is actually very good advice. Archery Trivia - The glove Bran is wearing is a Neet archery glove, made in the USA, which use Velcro on the wrist strap. 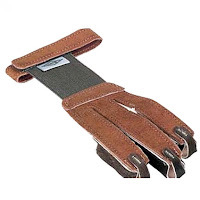 The manufacturing tag was removed. Not much is talked about the shot here executed by Bronn, but it is important because he is later made a knight and called Sir Bronn of the Blackwater, referring to this shot. The result of the shot, spoiler alert, is one heck of an explosion. Archery Trivia - The bow used by Bronn is a replica of the Meare Heath bow. The Meare Heath is remnants of a prehistoric neolithic flatbow wrapped with deer sinew in a IXIXI pattern. 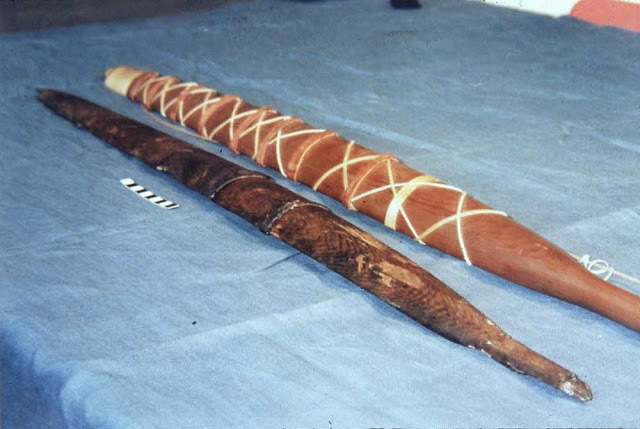 Below is a remnant of a Meare Heath limb next to a modern replica of a limb. This episode is important because it is one of the few episodes containing Anguy the Archer - the best archer in all of Westeros, and includes a scene where he is teaching Arya how to shoot. The problem with the above scene is Arya's form. She is pulling so far to the side, her form is inconsistent and she is apparently shooting at such a short distance that she is basically "shooting instinctively". At such a short distance she should be able to hit easily whatever she wants to hit, with very little skill required - and very little time spent aiming. Anguy points this out, noting this she took her "sweet time" doing it. He then proceeds to correct her elbow so that her back is doing more of the work, and encourages her to shoot without aiming (trying to teach her how to shoot instinctively). Another good scene to watch with Anguy is in Season 3 Episode 2, when Anguy intimidates Hotpie into backing away when he shoots an arrow almost straight up and it comes back down only yards away from himself where Hotpie was standing - and backed away just in time to avoid being hit. Archery Trivia - Anguy's bow limbs are tipped with carved horn, suggesting that the bow is quite strong and powerful. 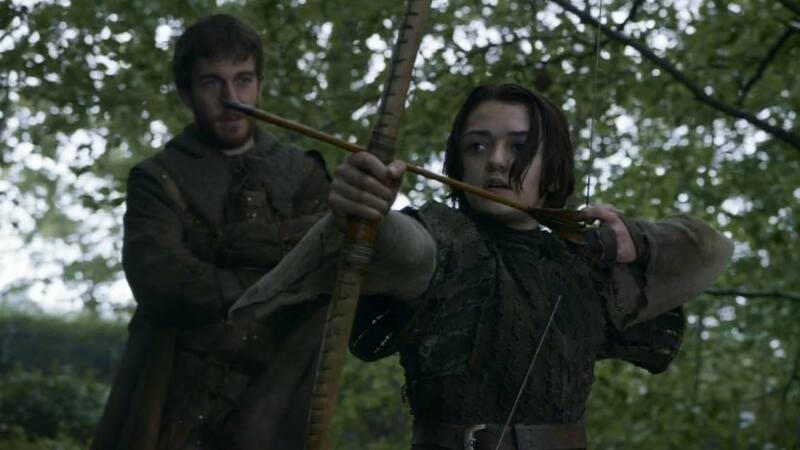 However Arya is still pulling it, suggesting Arya is really strong for her young age (doubtful) or the people directing the scene chose to ignore that a girl Arya's age would never be able to pull and hold steady such a powerful bow. It is hard to choose one episode or scene from this season, so instead we will point to Ygritte's role in season 4 in general. I could go on and on. 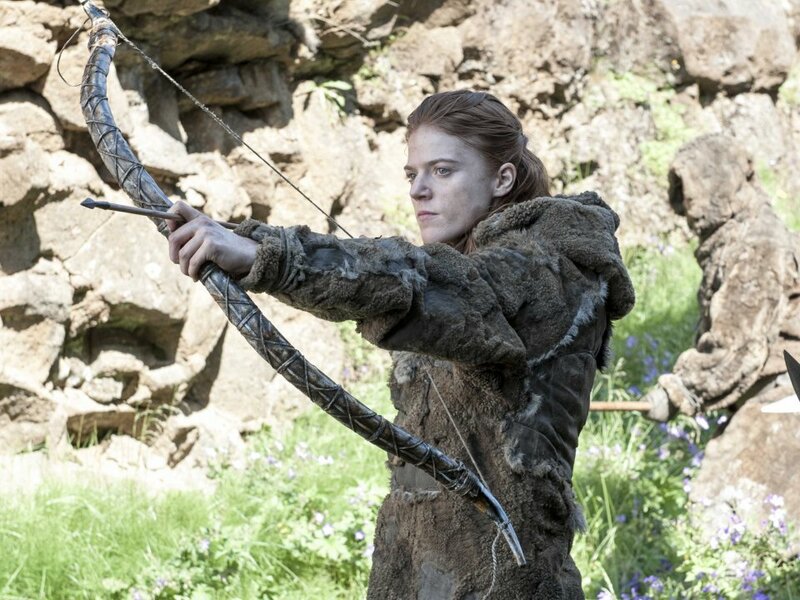 Watching Ygritte shoot in season 4 is like watching a how to guide of how NOT to shoot. You can basically just pick any episode from season 4 with Ygritte shooting and you will have a scene showing you what NOT to be doing. 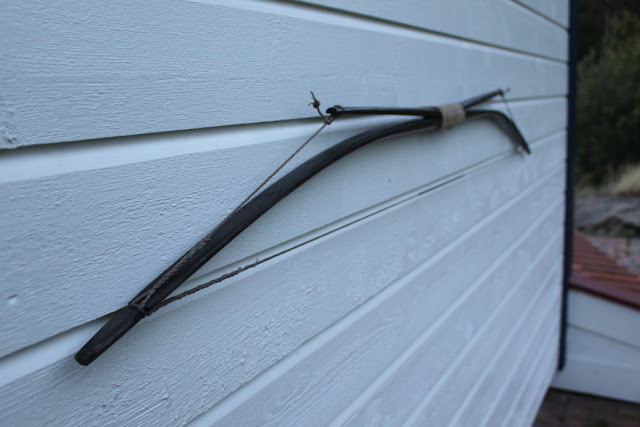 Archery Trivia - Ygritte's bow is another replica of the famous Meare Heath bow, except this one is a shorter recurved version of the Meare Heath. I have a whole post dedicated to this episode. 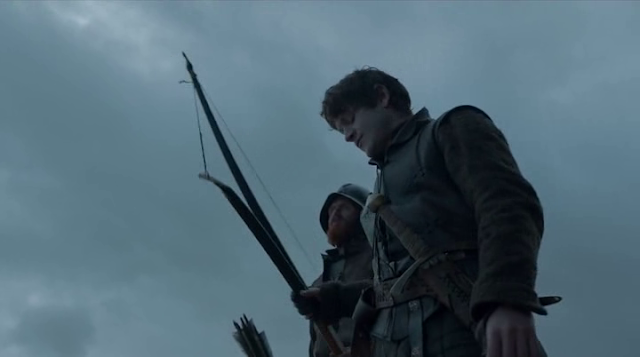 See Ramsay's Archery Skills on Game of Thrones to learn more. Archery Trivia - The bow Ramsay uses is a Penobscot bow, a double limbed flatbow that uses adjustable cables so that the user can adjust the power of the bow and thus can maximize power and improve long range accuracy. The Penobscot are a Native American tribe from the Maine region of the USA, their bows were rather unique design wise. I may add more posts on this topic in the future, perhaps choosing 5 other episodes and make a sequel post. If this is something you would like to read leave a comment below and subscribe to CardioTrek.ca.